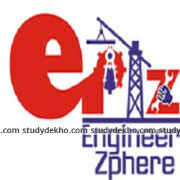 Engineers Career Point (ECP), a unique institute for Engineers was created on 10th Feb 2011 with the objective of helping the technocrats to achieve various career options which this great profession provides. Institute was founded by the group of technocrats from IIT and IIM, who have wide experience of jobs in the private sector, government sectors and in entrepreneurship. Purpose of the institute was to provide the single platform to the Engineers to get awareness about various career options and also to prepare them for the same under the guidance of highly dedicated and capable team of mentors. ECP wants to establish it as an institute which becomes synonymous with the career of Engineers. It endeavors to carve out the technocrat hidden inside every Engineering graduate. Within 3 years of its existence, ECP has mentored hundreds of students start their career in dream jobs in private sector (Campus Placement), PSU and Govt, higher education MS, MTech (IITs, IISc), MS (Abroad), MBA (IIMs). Best Gate institute in Chandigarh for the gate, SDO, SDE, RRB Courses.